Witherspoon at Inkwell Management in association with Araminta Whitley and Philippa Milnes-Smith at Lucas Alexander Whitley Ltd. The first book in the series, FAIRY MOM AND ME, will be published on January 2, 2018, and will be edited by Delacorte Press Associate Editor Kelsey Horton. FAIRY MOM AND ME will be simultaneously published in both the U.K. and Canada. 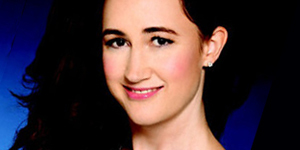 “We are so excited to bring Sophie Kinsella’s signature humor and heartwarming stories to a younger audience for the first time,” Ms. Horowitz said. “FAIRY MOM AND ME has all the ingredients for a magical reading experience for young book lovers and their families, and we are happy to have the opportunity to introduce Sophie to them.” “As a mother of five, I’ve always told stories to children,” Ms. Kinsella said. “I invented Fairy Mom, Ella, and the Computawand for my youngest two children, and now I’m thrilled that they will find a wider audience. Marta Kissi’s illustrations bring the stories to life perfectly with tremendous wit and charm. I think the publication will be a lot of fun. I can’t wait!” FAIRY MOM AND ME tells the story of Ella and her family’s special secret: Ella’s mom is a fairy! 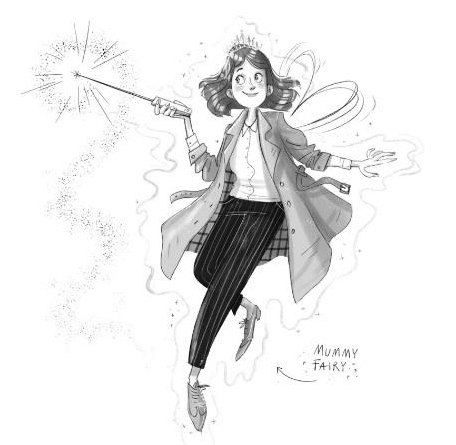 With the help of her new-tech wand (dubbed Computawand), she can cast amazing spells to make delicious cupcakes, create the perfect birthday, party, and cause chaos at the supermarket. But sometimes the spells go wrong, and that’s when Ella, the fairy-in-waiting, must assist to return everything to normal. Family, friendship, and magic abound in this sweet and funny debut chapter book, complete with illustrations by Marta Kissi.